Shoppers at Waitrose in Wellington know after every shop, they are given little green tokens at the checkout, shoppers can then place these tokens into a box, representing one of three great chosen causes they would most like to support. 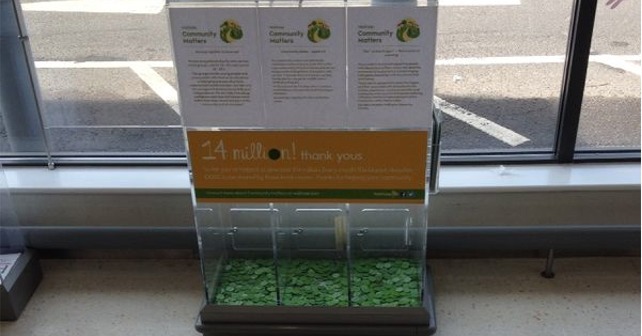 As part of Waitrose’s ‘Community Matters’ scheme, each branch of Waitrose divides a charitable fund of £1000 per month amongst the nominated groups, according to how many tokens each great cause receives from customers. Apple FM was thrilled to be chose by Waitrose this month as one of the three great causes. So next time you shop at Waitrose don’t forget to drop your token into the Apple FM slot and help us to receive much needed funds to keep us on air.